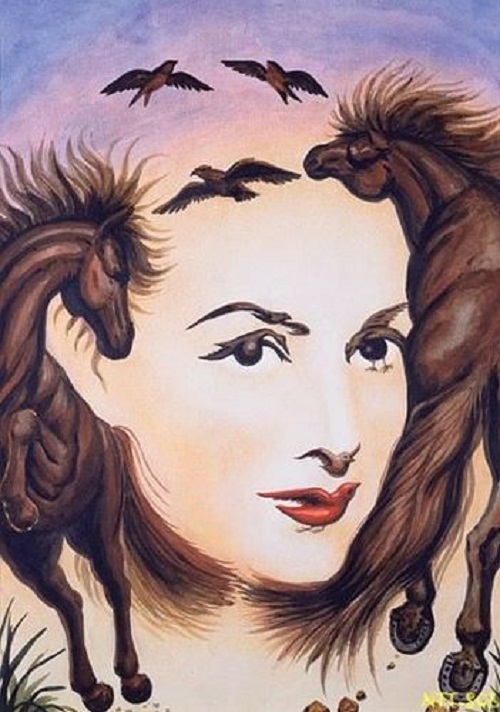 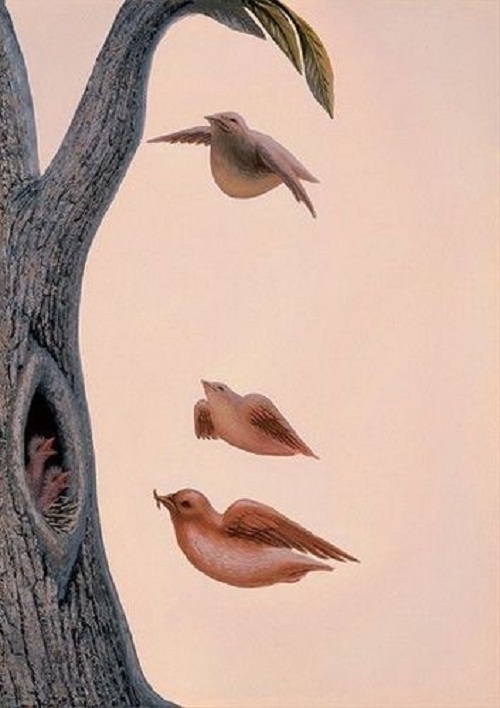 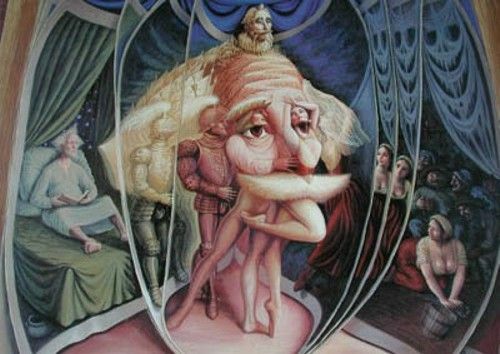 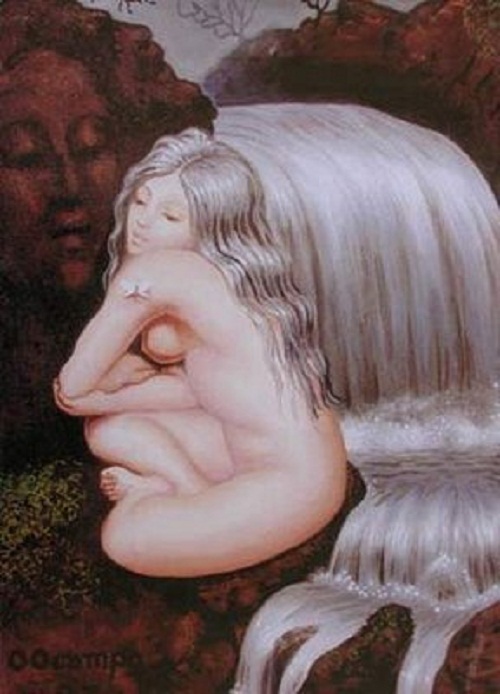 Illusion painting by Octavio Ocampo. 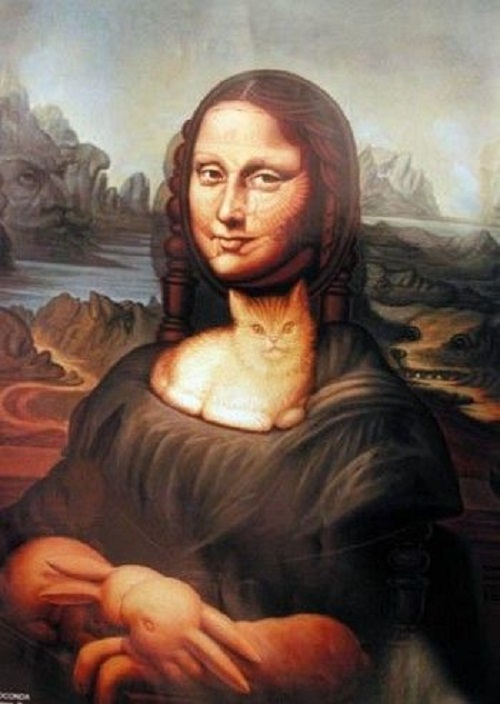 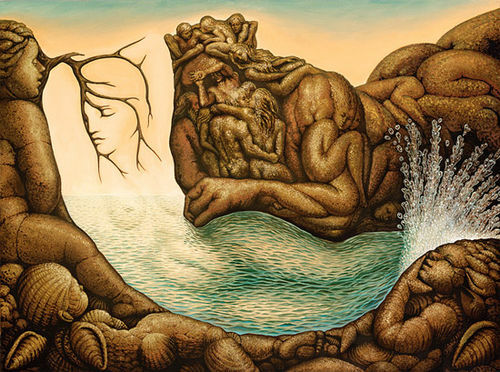 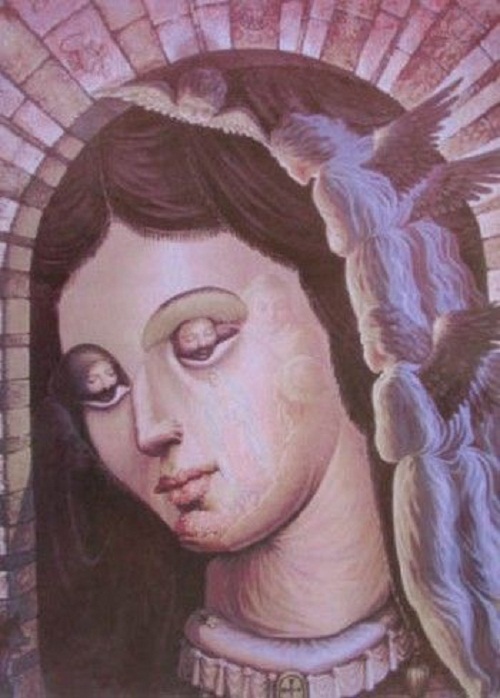 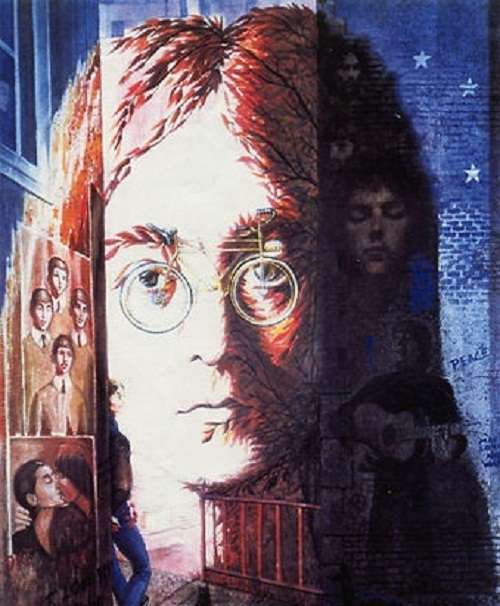 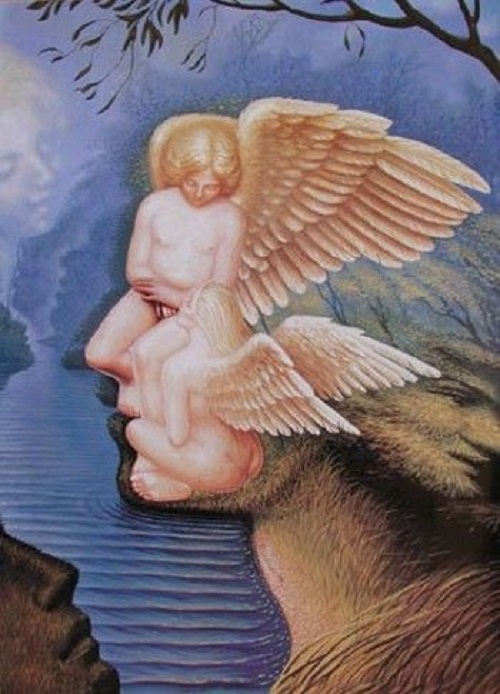 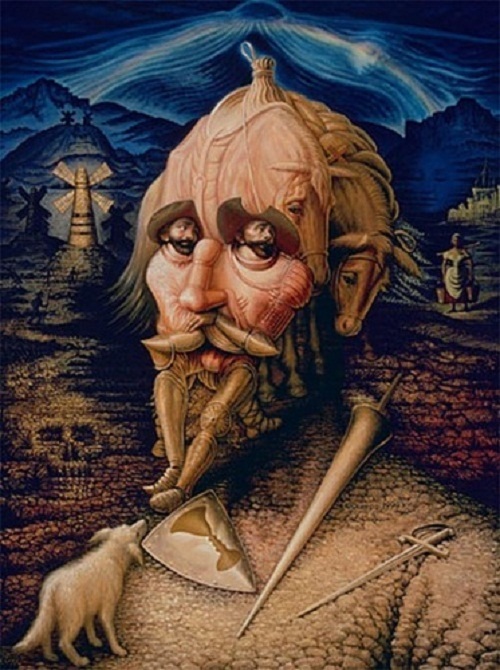 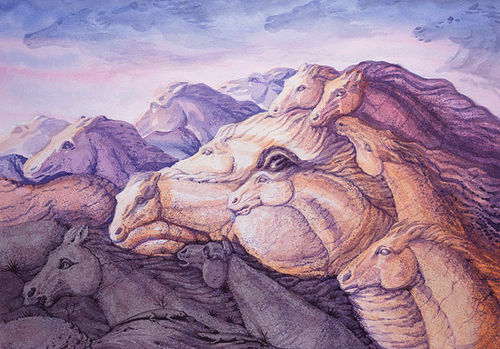 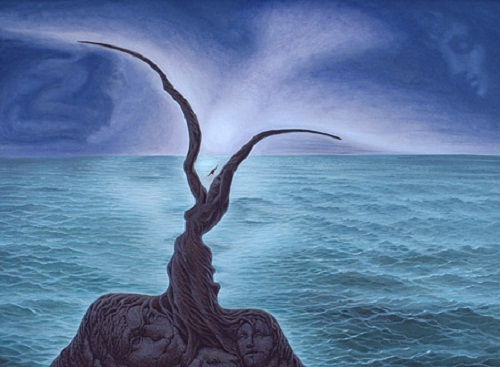 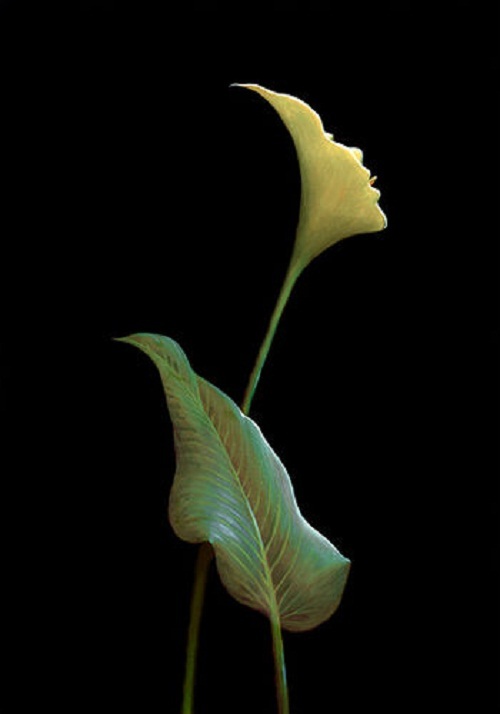 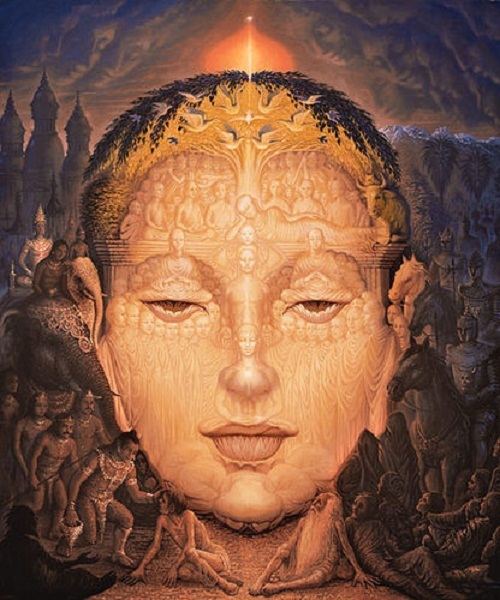 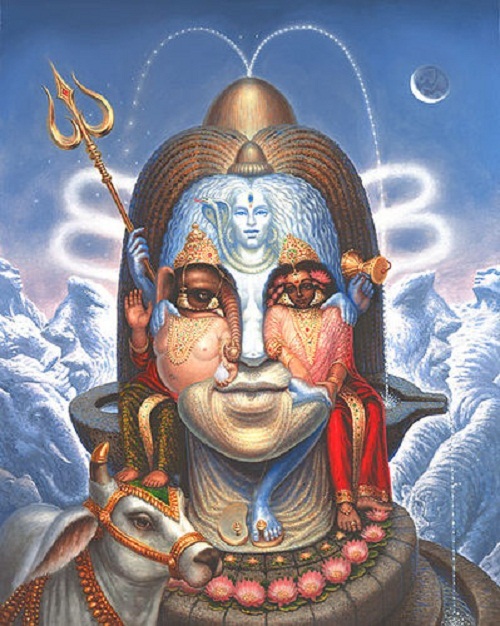 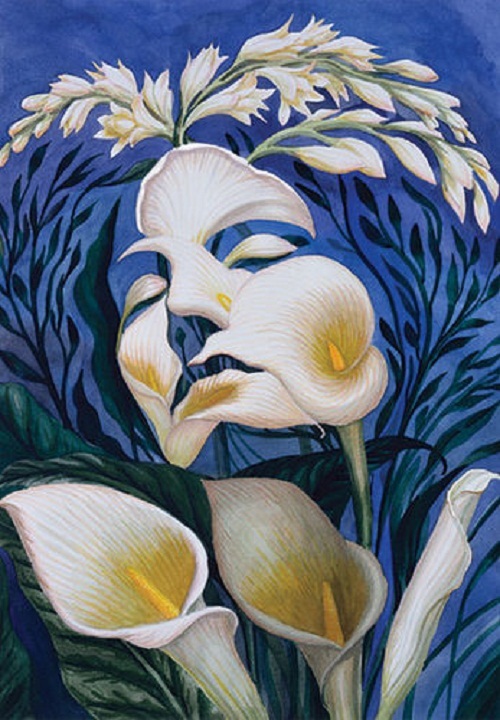 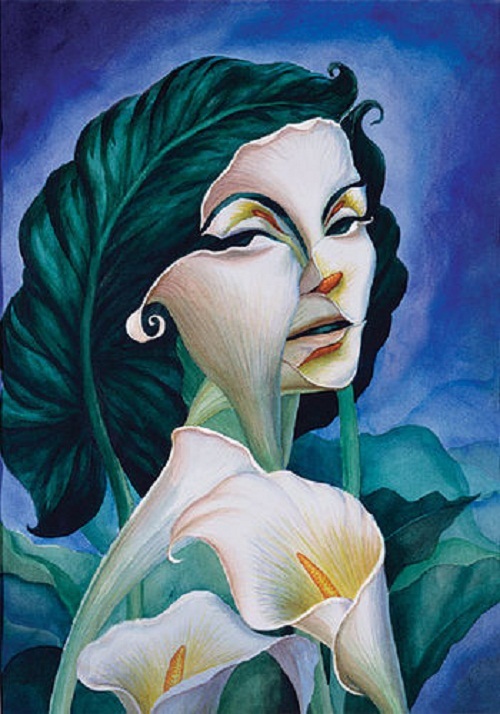 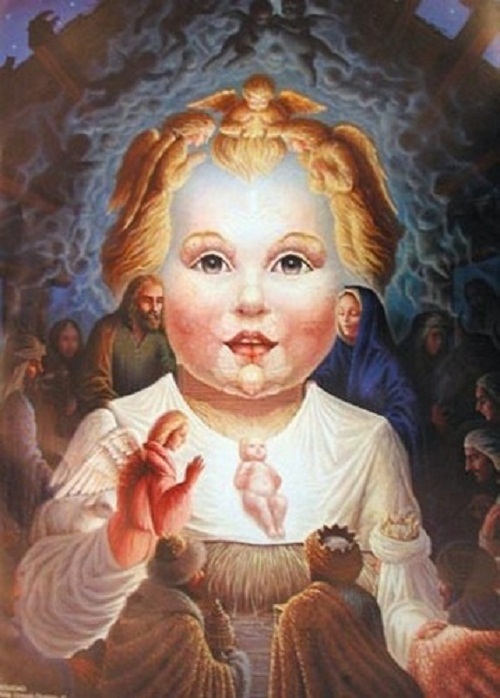 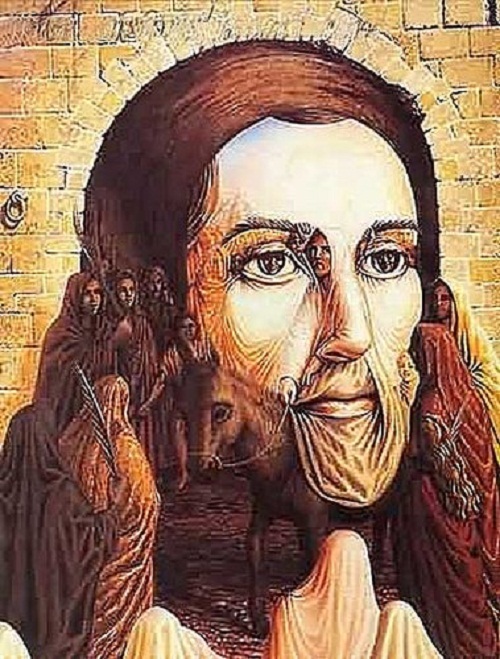 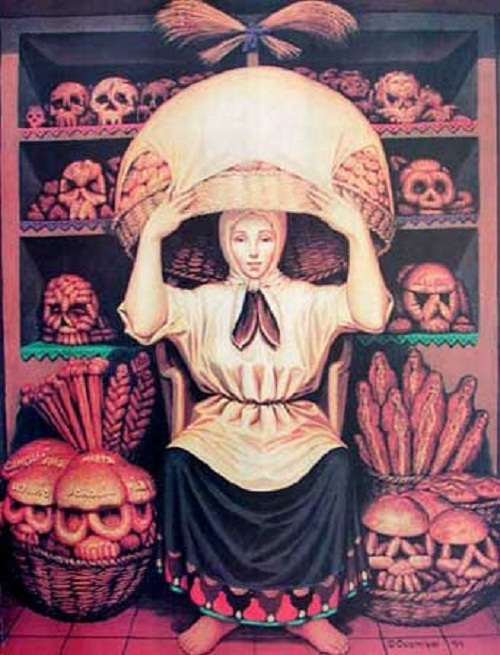 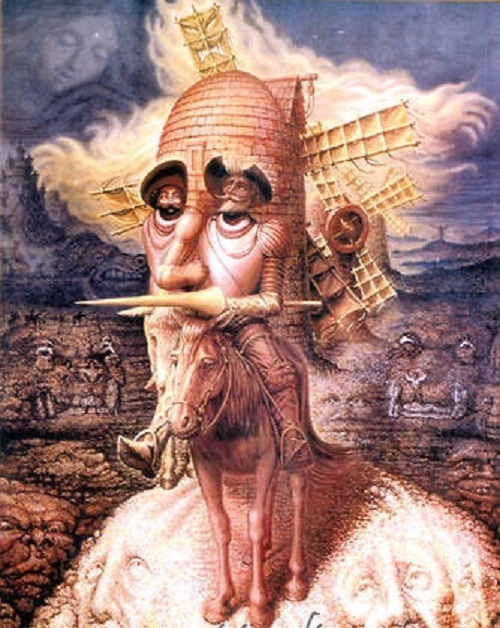 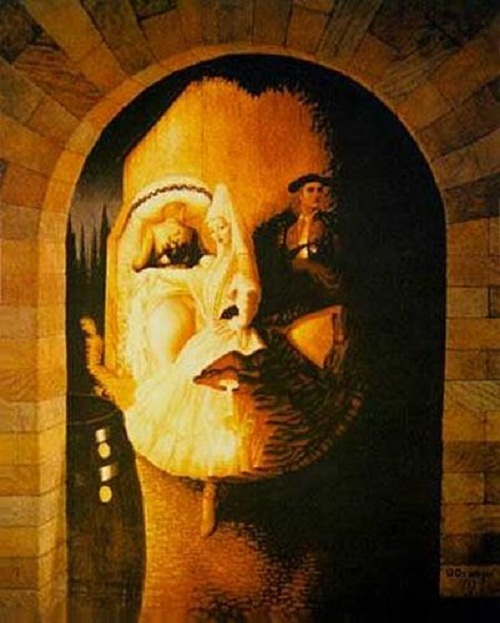 Mexican artist Octavio Ocampo was born on 28 February 1943 in Celaya, Guanajuato. 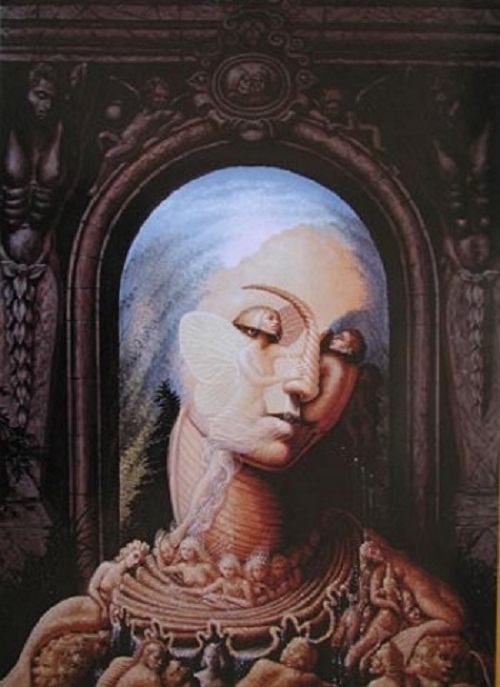 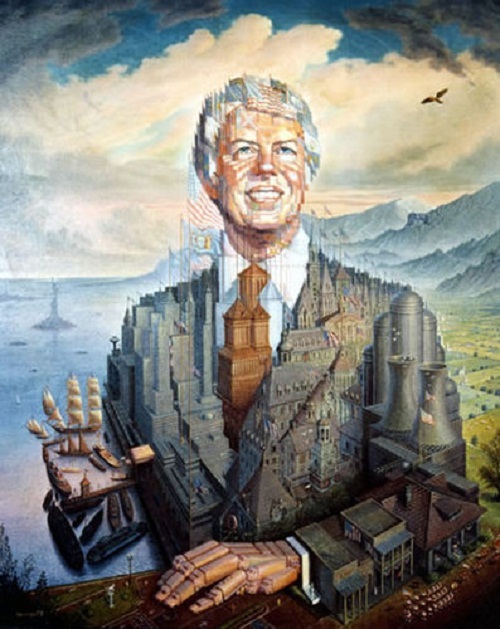 He had studied art since childhood, as he grew in the family of designers. 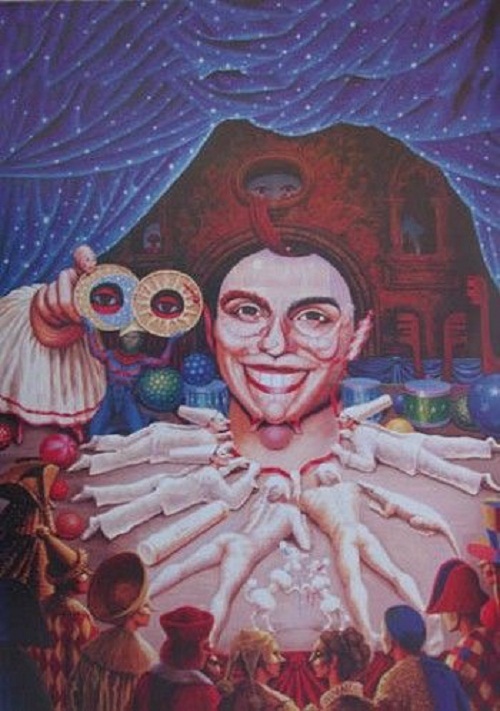 At art school, Ocampo constructed papier mache figures for floats, altars, and ornaments that were used during carnival parades and other festivals. 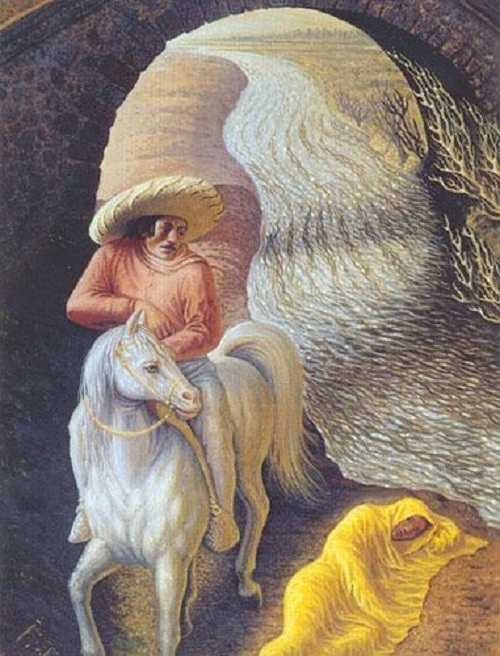 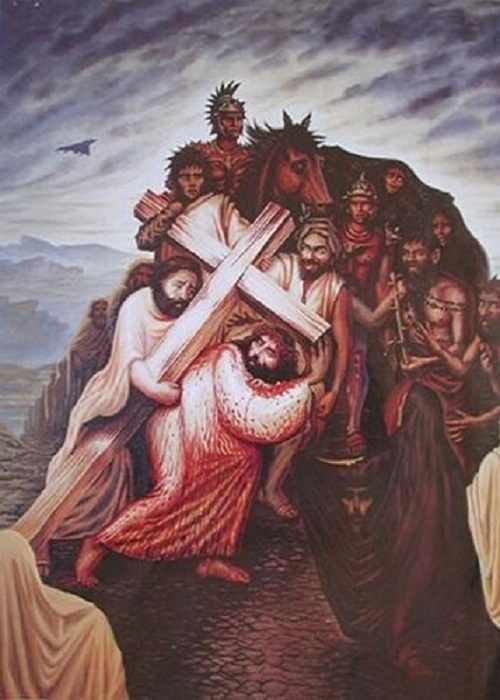 In high school, Ocampo painted murals for the Preparatory School and the City Hall of Celaya.